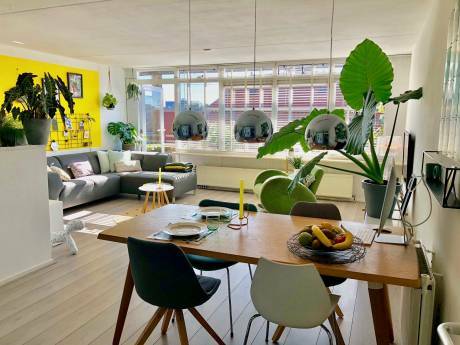 Our loft (95 m2) is located on the 2nd floor of a 5 storey house, has a huge living-room with a TV and a DVD-player, an open kitchen/dining-room with a small balcony overviewing a garden and a bathroom with a spatious shower. The kitchen is well equipped with a professional gas-cooker, microwave, toaster, espresso-machine and even a ice-machine. The childrens-room, is separated from the living-room by a sliding door which can be left open during the day. The master (folding)bed is hidden behind the doors in the living-room and can be easily accessed for the night. It's a very comfortable double-bed and you can watch TV from it if you like. If needed there's also a single folding-bed available. We have a stereo, two professional record-players and hundreds of good records! 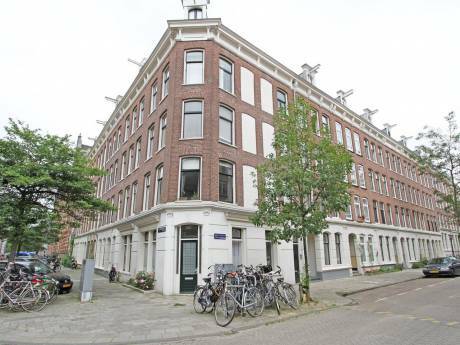 Our apartment is located in a very popular neighbourhood called 'de Pijp' just a few minutes walk from the famous Albert Cuyp Market, cosy little squares packed with cafetaria's and restaurants, next to Sarphati Park where you can freely sit on the grass and enjoy it's friendly atmosphere. 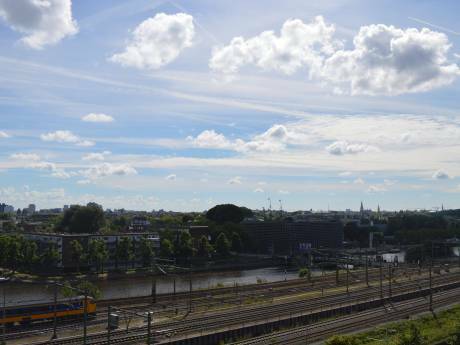 Our district is very friendly, lively and in favour of many young people and families. The tram stops just across the street and will bring you to the very centre in just 7 minutes! You can also take a walk through our favourite street (Utrechtsestraat) with plenty of small boutiques, cafetaria's and restaurants and reach the canals in less than 15 minutes. We also have 2 bikes available that you may use if you'd like to. The three of us: me (Kasia), my boyfriend (Roel) an our 2 years old son (Philip) live and work in Amsterdam. I'm a photographer, working for various interior magazines and Roel is Chef at a popular restaurant. We love travelling, music, good food and good life. We speak Dutch, English and Polish.